It’s hard to be heard in travel and for many that means spending more and more to try and reach the customer. However, innovative brands in the industry are doing things their way and not only reaching the customer for less but getting them to come back too! He says their recipe for success was based around getting people’s attention on social media and then keeping it through being authentic, transparent, entertaining, relevant and trustworthy. They have also focused on their loyalty program, launching a new in-depth rewards system that gives users immediate money-off bookings, with discounts levelling up as consumer spend more. Alongside this they have created a live-chat personal concierge service to cater to customers as they travel. Potential uses include “requests at the hotel itself, so if you want to check-in earlier, check-out later, if you want to have something waiting for you in your room,” says Amir Segall, VP of global supply, up to “local tips about the city, like ‘I want recommendations for a restaurant.” This has created “enormous lift in their engagement says Segall. Airbnb has also taken a data led approach, using ‘machine learning at almost every step of the user experience,’ says company data scientist Theresa Johnson speaking at EyeforTravel’s Smart Travel Data Summit North America 2018. “So, when a guest comes to search for a place to stay, they are presented with tailored results to them based on our categorizations and collections, based on what we know about them and what we know about the properties, and that is improving all the time.” This has allowed the company to grow to more than 200 million guest arrivals since its founding in 2008 despite a relatively low paid media budget. The company has also announced that it is heading towards a loyalty program, trialling its ‘Superguest’ reward program this Summer. Join four cutting edge travel conference under one roof and change how travel is sold. Get your ticket to the EyeforTravel Europe Summit 2018 today! Do you work in digital marketing, distribution, data analytics, revenue management, or travel tech? The EyeforTravel North America Summit will be back at the Mandalay Bay Las Vegas, set to take place on Oct 18 -19 2018. The overarching theme for this year sees a huge focus on the customer experience and the formula to own the booking: Frictionless CX + Data Driven Customer Insight + Cross Industry Partnerships = Super Charged Travel Sales. EyeforTravel are excited about the growth, competition and disruption in the industry and have positioned their next US flagship summit to tackle the burning issues currently facing the online travel sector. Click here to get a sneak peek of the full agenda and the confirmed speaker line up. 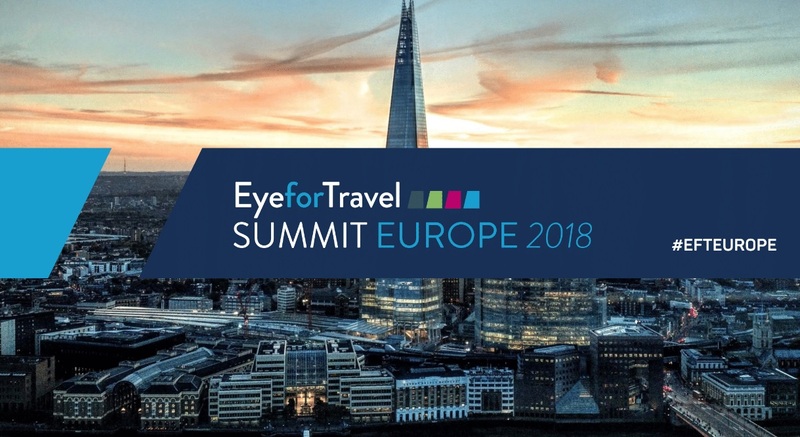 The summit will tackle keynote topics such as the evolution of technology and the impact on distribution & marketing, managing market share and consolidating with the right partners, the life-time value metric in travel, the impact of GDPR on your strategy, the changing face of P2P travel and much more - this is just the start! In addition, the afternoon of both days will be split into three dedicated conference tracks: Marketing, Commercial and Innovation. Other leading brands confirmed to speak include Allegiant Air, Mozio, Winding Tree, Air Canada Vacations, Jet Blue Technology Ventures, Hopper, Hotwire, MGM Resorts and more. EyeforTravel North America is truly the only place you will be able to hear from and meet with the cream of the crop in travel, and more importantly to walk away with insights you can action as soon as you get back to the office. Click here to secure one of the limited discounted pre-launch passes today! Ancillaries are the powerhouse growing travel brand revenues around the world and the industry has only just got started. Technology is powering a massive growth in partnerships across the travel industry as brands race to enhance their offering to customers and also their bottom lines. Application Programming Interfaces (APIs), AI-powered personalization and streamlined booking processes are helping travel brands to cross-sell a growing amount of inventory and make the customer’s journey easier. Ancillary sales are expanding to cover more and more inventory. From trains, ridesharing and buses, to dining, to an exploding tours and activities sector that has drawn the attention of all the largest online travel players. In TripAdvisor’s latest set of results from Q1 2018, its non-hotel revenues soared 36% and it is banking on tours and activities to push up results further this year. Clearly their strategy of focusing on the area after acquiring Viator, who are speaking at Eyefortravel’s Europe Summit in London this June, is beginning to pay off and indicates the growing importance of new revenue streams. Elsewhere, rail travel is becoming one of the biggest focuses in travel, with digital giants like Expedia jumping in with their acquisition of SilverRail Technologies, Skyscanner launching a train booking feature for mobiles (both brands are speaking at EyeforTravel Europe), and major existing players stepping up their online presence. The growing realm of potential partnerships means that travel brands can cater to more aspects of the customer’s journey, even if they are only a small player – both generating more revenues and greater customer satisfaction. 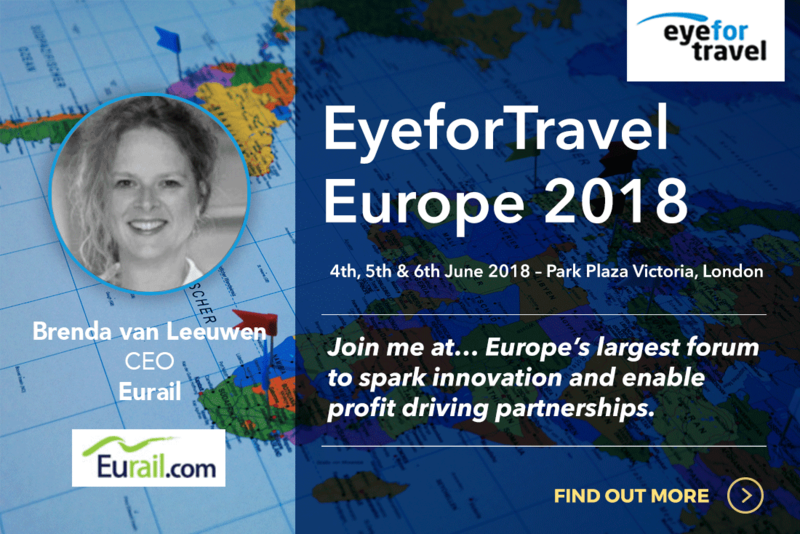 If you would like to find out more about the expanding role of partnerships across the industry, there’s only one place to go – the EyeforTravel Europe Summit 2018. Huge global smartphone adoption across the globe presents a massive opportunity for travel brands to reach consumers but where should they be focusing their efforts to maximise returns? It is becoming increasingly critical to create inspiring content that will work on mobile as consumers are most likely to be using their mobile devices early on in travel research. As more detailed, late-stage research is undertaken, most consumers in major markets move over to larger screens on desktops and laptops. Consumers therefore need to be engaged with content and made aware of the travel options and offers available. This is the first stage of influencing the buyer journey and a key mobile phase. Despite desktops and laptops being the main booking devices for travel purchases generally, some markets such as China are mobile-first throughout, and overall it is increasingly an omnichannel experience. Mobile is also growing globally. J.D. Power found that 25% of hotel online reservations were made using mobile in 2017, up from 14% in 2014. EyeforTravel’s 2018 research similarly finds that the median share of mobile bookings reported by travel brands is between 10% to 19%, with 58% reporting more than 10% of bookings come through mobile. Customers now expect a relatively seamless transition and look for consistency across platforms as they move down the purchase funnel. This purchase funnel is broadening, with new channels and communication services growing. Although mobile bookings are still largely through web browsers, leading to 45% of travel brands focusing on the mobile web compared to the 22.5% focusing on apps, brands will need to shift and widen their focus. For the modern traveler, alongside established SMS, web and email channels, social media services, such as WeChat, WhatsApp and Facebook Messenger, are increasingly important. Not only can they now allow bookings but they are also great touch points to help the consumer get more information for their purchase journey and help them feel safe about their purchase. However, just 29% of travel brands currently have instant messaging capabilities and this will need to increase as consumer tastes change and travel brands chase low-cost distribution routes. Improving a brand’s ability to use these emerging mobile channels can also help to address the main issues that exist with mobile booking for consumers. Key among these is security. The channels mentioned above can be used for two-factor authentication (2FA), sending security codes to approve payment, access secure pages and complete bookings. This helps drive consumer confidence in making online purchases and therefore mobile conversion rates, which are far lower in the travel industry than for desktop and laptop visitors. Being able to reach consumers with key information as and when they need it is becoming a core competency for travel brands that want to drive a relationship and build loyalty with their customer. Among US consumers, 87% report that they find travel notifications useful and travel brands that can reach a traveler in a moment of crisis can win over a consumer for life. Becoming the trusted source of information to the consumer as they travel is a way to wrest control of the traveler and their journey from third parties and reposition the travel brand at the core of the journey. Customer satisfaction rates are higher when they have been actively reached out to by a travel brand with relevant messaging or if they have downloaded a brand’s app. Travel brands and technology players need to provide channels that are truly global and not just accessible in the home country or continent of the consumer. The channel has to have the presence to reach the traveler throughout their journey, especially when disruptions happen, such as a delay or change in flight. It is extremely important to get the voice of the traveler as feedback. One single bad review can influence future purchase decisions, and travel brands need to use technologies to interact and strike when they happen. Emotions run very high most recent to a bad experience and if you are able to address that then you can calm a situation and possibly turn a negative into a positive. Encourage positive reviews and social interaction post-travel to not only influence other buyers, but to also engender brand loyalty with your traveler. Among travel brands that had automated messaging capabilities, 47% reported that they sent out satisfaction questionnaires and 37% sent out post-stay marketing. This shows that travel brands are awakening to the potential of using mobile in the post-travel period but they still have a long way to go to make the most out of this time. Search engine and social marketing are the priority spending categories for 67% of travel brands’ mobile marketing budgets finds new research. New research from EyeforTravel and SAP Digital Interconnect, which surveyed nearly 300 travel industry professionals on the topic of mobile has found that search and social have a stranglehold over mobile marketing, likely reflecting the dominance of Google and Facebook in the digital marketing sphere. 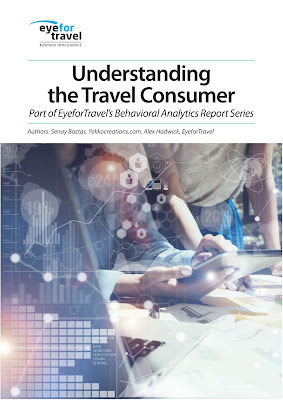 When respondents were asked what is the largest component of their mobile marketing budgets, 35% selected search and 32% social, according to EyeforTravel and SAP Digital Interconnect’s new Driving Intelligent, Interconnected Mobile Engagement Throughout the Travel Journey report, which is free to download now. Search spending was even higher among hospitality and accommodation brands, where it was the most important category for 45.3% of brands. This preponderance is a result of the way in which consumers search for hotels, with mobile still a last-minute channel when it comes to booking and at that stage consumers are looking mainly for specific locations, largely through search engines. However, it may also indicate an over-focus on the latter stages of consumers booking journey and an acquisition-driven strategy that doesn’t fully take into account the role of mobile in inspiration and initial research phases. One area where travel brands might look to expand spending and make the most of mobile’s role at the inspiration stage is video marketing, which was rated as most important in just 4.4% of budgets. The small role of video marketing currently would seem to be a major missed opportunity for travel brands given the growth of mobile video consumption in recent years. A multi-country study by AOL estimated that 57% of consumers watch videos through their mobile every day and Zenith estimated that there was 20% growth in global video consumption in 2017. How will mobile change the travel industry in 2018? A new mobile market report investigates. Mobile is a growth category for the travel industry as established markets experience rising usage and emerging markets add millions of consumers who look and book with their smartphones. 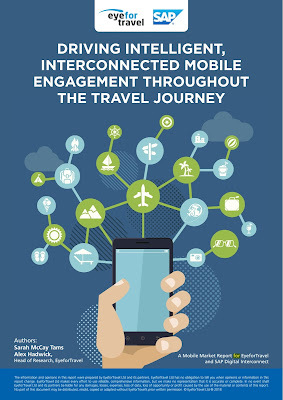 It is even more vital tool for in-trip engagement as the majority of travelers globally report that they use their smartphone as their main conduit for information and communications as they travel. It is therefore an area that travel brands must address in 2018 in order to maximise their return on investment and avoid falling behind competitors. Based on EyeforTravel and SAP Digital Interconnect’s new Driving Intelligent, Interconnected Mobile Engagement Throughout the Travel Journey report, here are three key ways in which mobile will influence the travel marketing in 2018. Smartphones are used most during the actual trip itself, presenting a golden time to reach them through this medium. For 67% of British, French and German consumers, the smartphone is their key device during their trip and 98% of Chinese international travelers report that they use their smartphone whilst abroad, with 65% reporting that they use their smartphone to search for restaurants or to use navigation tools. What’s more there are more ways than ever to reach the consumer through their smartphone, none of which are being fully exploited by travel brands so far. First and foremost there are apps. Although these are difficult to get installed on a user’s device, they have excellent engagement rates and allow owners to send push notifications, which were found to be the most effective form of in-app advertising by our research. However, just a third of travel brands currently have an app. Beyond this, consumers can receive or request messages from travel brands through SMS, used by 24% of travel brands, MMS (8%), QR codes (16%), and instant messaging services (29% of travel brands). The latter of these could be key, as IHS Markit predicts that there will be 7.5 billion messaging and communication app accounts by 2020, giving unrivalled reach. 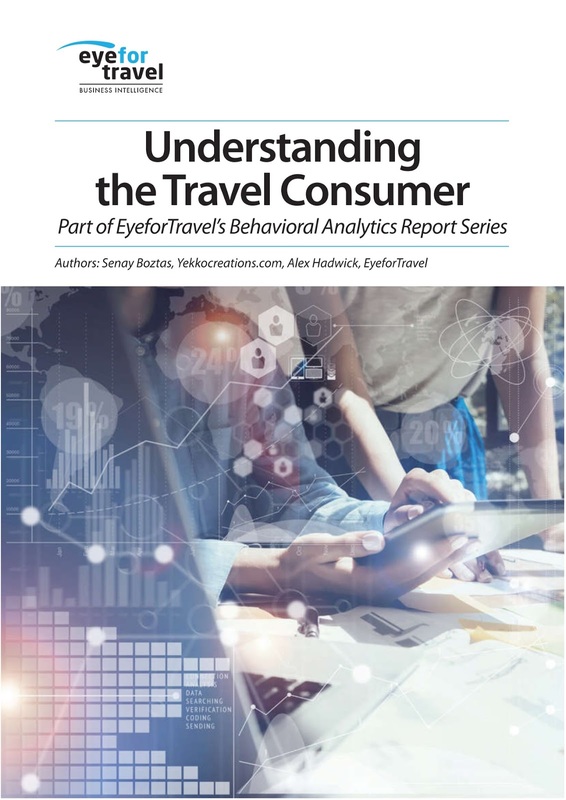 In order to get relevant and engaging messages to consumers, travel brands will need to automate the process through data analysis and AI-enabled services. We found that among the 41% of travel brands that have automated mobile outreach, 83% report that is effective at driving satisfaction. These services can be used to build loyalty and drive revenues through a variety of services that give the consumer key pieces of information that makes their journey easier and upsell and marketing messages. Currently, 78.4% of travel brands that have an automated messaging service report that they can send booking confirmations and reminders but just 37% can send post-stay marketing messages and 35% emergency notifications. We can expect the number of travel brands with automated outreach to grow in 2018 alongside the type and content of their messages. Brands will take on a multichannel strategy with their messaging, using the most appropriate format for the customer based on where they are in the journey. For example, SMS for a change in gate, or push notifications from an app for excursions at the destination. Although mobile is a fast-growing channel when it comes to the booking itself, desktops and laptops still rule the roost when it comes to share and even more so when it comes to spending. Instead, mobile appears to still be a last-minute channel, especially for hotels. Just under 65% of respondents from all verticals in the survey say that mobile lead times are either much shorter or slightly shorter than desktop bookings, with 40% answering that they are much shorter. Nearly double the rate of respondents from the accommodation group report that mobile lead times are much shorter – 59% to 31%. This makes the mobile web experience critical, as smaller screens and a need for swift information will make relevancy and presentation critical. In our survey 39% of brands reported that they were prioritizing the mobile web and a further 6%, said they were shifting to mobile web, far above those who said they were prioritizing apps. We can expect the number of travel brands who have a responsive or adaptive website to rise from the 58% who currently do. Optimizing this experience will be driven by growing abilities to personalize landing pages and streamlining the moments from arrival on the site to the check-out based off growing data analysis capabilities and A/B testing. Furthermore, advances in revenue management and yield maximization techniques will increase the profitability of last-minute mobile bookings.